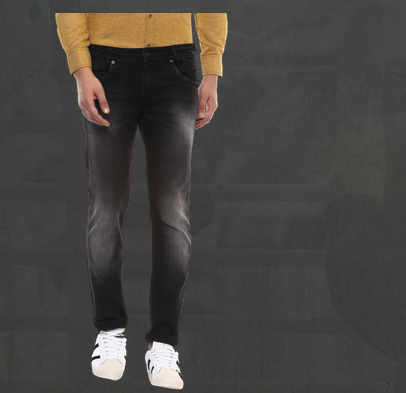 You will never run out of style as you wear these black stone washed jeans from Mufti. Featuring traditional five-pocket design, button closure, zip fly and brand logo tag at the back waistline, this pair can be best paired with a shirt and sneakers. Founded in 1998 as a menswear brand, “Mufti” focused on providing progressive fashion to its customers. The core belief of the brand is innovation and originality thereby giving its customers a product that is ‘different’. Since its inception, Mufti has evolved as a brand that offered casualwear strongest in the shirt and denim categories; to one that now offers a range of T-shirt, outerwear, blazers and some accessories also. In the year 2013, Mufti saw the launch of a new line of products, “Mufti Mogul”. As its name suggests, the focus for this collection is smart evening wear.